People opine that career means to study and get ‘good’ degree and get a well-paid job or getting engaged in business/profession, which will fulfill all their financial needs. But friendly speaking, according to me and many of the readers here will also agree that career means to engage in an activity or profession which may boost their self-esteem along with bread-butter. I think it is better to recall the dialogue from one of the famous bollywood movie – ‘3 idiots’ where parents saying that “mera beta ye banega”. I personally believe that parents should give preference to children’s choice, preferences, and capabilities for selecting career of their children. CS is for Whom Meant? 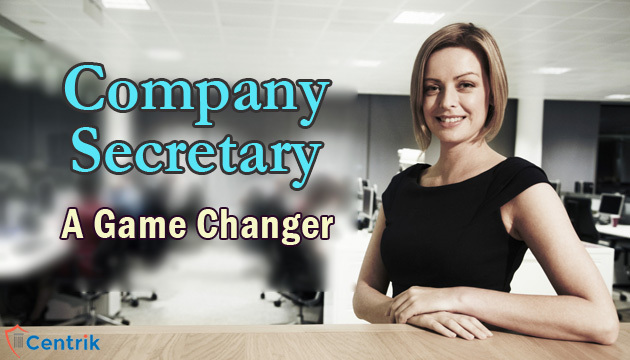 Career as a company secretary is strictly for the dedicated people who have the ability to pay meticulous attention to detail. Company secretaries must be able to communicate effectively with people from all other departments of a particular company to ensure that the company practices are both legally and financially acceptable. As the Company secretaries possess such qualities so they’re supposed to be organized individuals who enjoy working with citations, drafting of documents, interpreting law, negotiation, etc. The work of CS also involves constantly familiarizing oneself with the latest relevant laws so that they can perform their work to the best of their ability. There are so many areas or avenue after one becomes member of ICSI, he may do Service with Corporates, Banks, Govt. organizations or start his own Practice or he may pursue as academician in educational institutes, etc. Though the above areas are limited but other avenues have opened up recently which includes Arbitrator, mediator, conciliator, insolvency professional, GST, etc. While starting the professional courses like CS, most of us think that to become Company Secretary, one should come from an educated background, should have to school in English as their mother/academic language, but it is a myth. There are lots of reputed Company Secretaries all over the world who are having their base with non-English schooling background but here I wish to draw my personal experience, that what matters most is your dedication and hard work. Also, I believe that one has to sacrifice (कुछ पाने के लिए कुछ खोना भी पड़ता है) something for achieving something better they wish for, whether it is CS degree, good job or any other business/profession or even good life partner in marriage. Many friends of mine arguing that they are not getting opportunity after clearing CS, somehow it’s real, but I personally believe that if one has knowledge and patience, one will definitely conquer the world and get a good job. Reasons for not getting job might be a demand-supply ratio, aptitude towards the profession, eagerness to learn and change as per requirement, thinking of corporate, etc. But since the inception of the man on the earth, man has to compete with others for his survival and if we look at the present scenario, man is planning to reside at mars planet. So, one should take competition as good thing and try to improve for betterment of oneself which will ultimately results into upliftment of society at large. I particularly believe that after pursuing CS course or becoming CS one thing is very clear that one can be capable – capable in the sense that one can take his own stand and does not depend on others for his survival and also it Improves their overall personality and behaviour to others which in turn makes him a smart person. In short, it’s makeover of person subject to that one wants to do it from heart. Dharmesh Vankar (Swami) is a qualified Company Secretary (ACS-42284), residing In Vadodara and currently working in Company Secretary Firm as Senior Team Member. You can reach him at dharmeshvankar22@gmail.com or (M) 9558930408. Disclaimer: The entire content of this document is author’s own interpretation & personal view. This is only knowledge sharing initiative and author doesn’t intend to solicit any business or profession. Further, this write up is prepared only to show the broad aspect of CS profession and not comparison of the same with other professions.